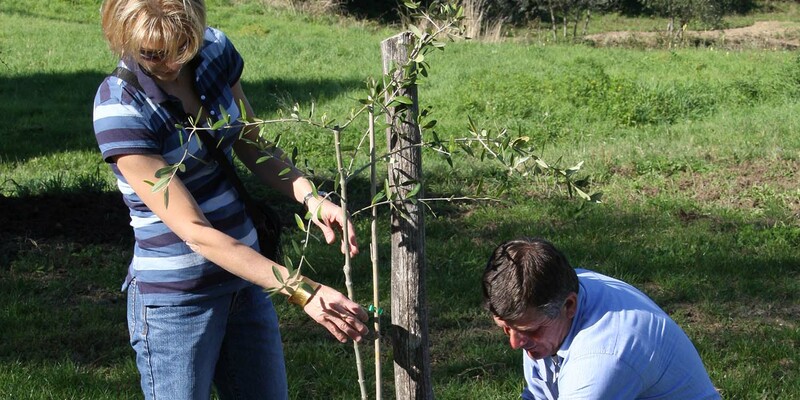 In the Villa Campestri olive groves our trees live in harmony with yours. 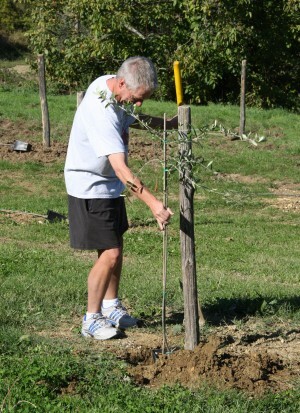 Our helpers are not the only ones who plant Olive trees at Villa Campestri. There are also Paolo, Luca, Joe, Hellen, Marco, Franca, and so many other Guests that wanted to make their vacation memorable with a truly profound ceremony. 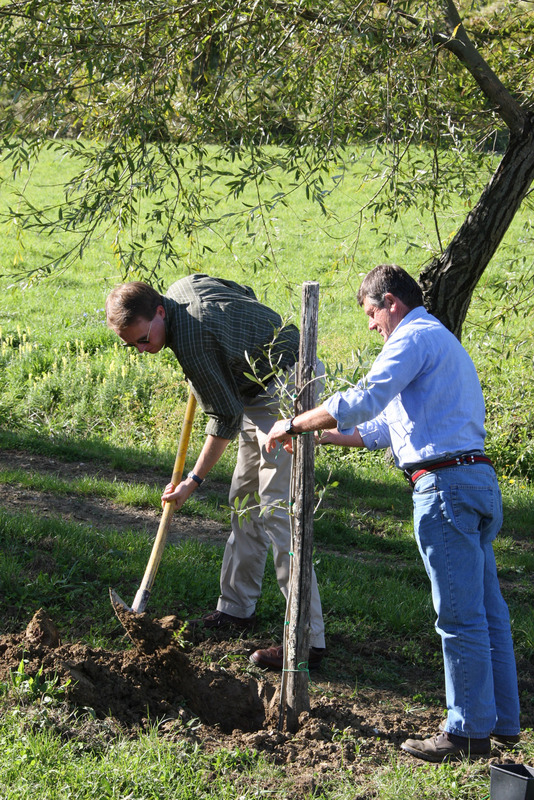 Planting an Olive in our fertile soil is a good omen that signifies longevity and true, solid values. Putting your hands in the earth, turning it over with a spade, and smelling its scent puts you in communion with basic life forces which give us physical and sentimental nourishment. Would you like to do it? 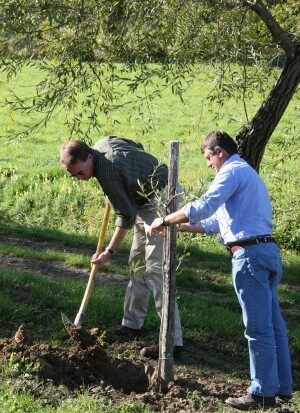 It’s simple; you can buy a small Olive tree from us and then plant it, spade in hand. Afterwards you can name it after someone. It will be a profound experience because you will start the life cycle of a plant that is noble, proud, generous, and full of symbolic resonance. 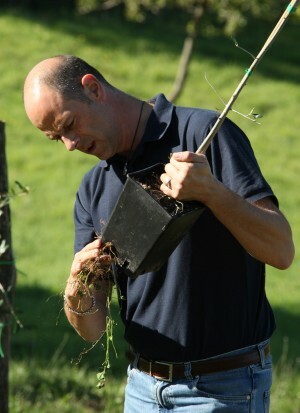 Planting an Olive tree is an ideal way to celebrate the birth of your child or to commemorate an event or an anniversary. It can even be used to renew a promise or perhaps seal a new one. 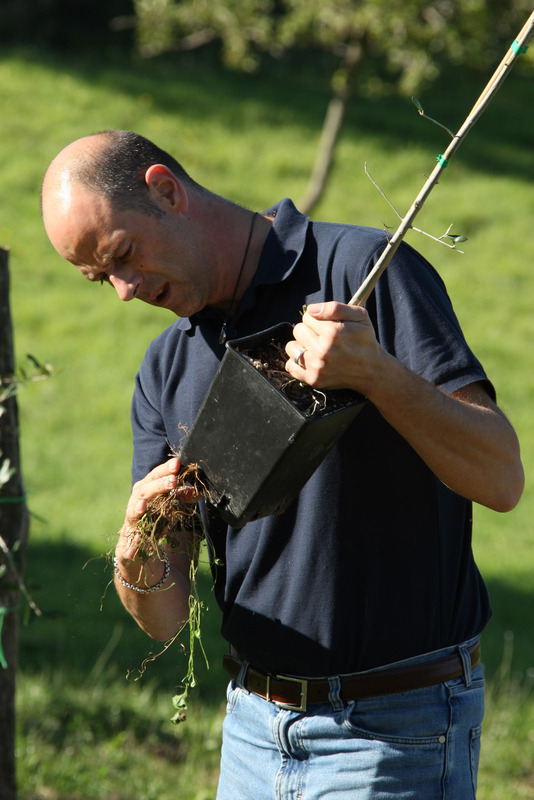 Many people who plant an Olive tree at Villa Campestri return to “visit it” and to make sure that it is thriving. In short, it is truly appropriate to say: “Whoever plants an Olive, finds a treasure”. 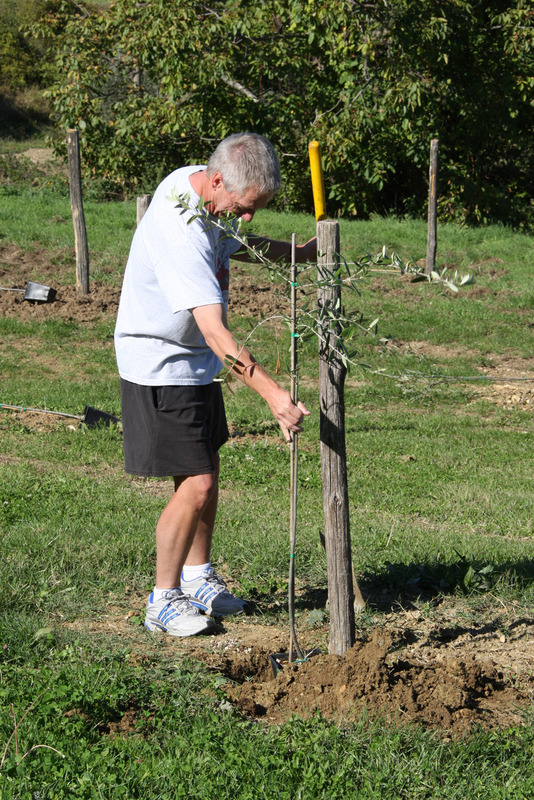 Book your olive tree experience in advance. When you arrive you will find everything ready, plant and gardening tools, for this stirring moment. The cost of the experience is 50.00 € per plant.